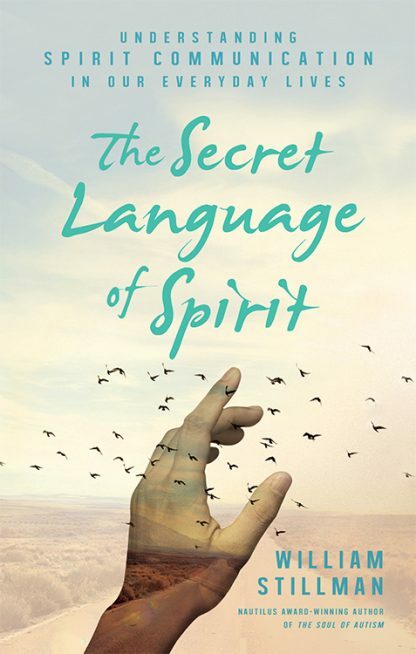 The Secret Language of Spirit is the culmination of award-winning author and psychic medium William Stillman�s wisdom and insights in a fascinating exploration of the sometimes blatant, sometimes hidden spiritual symbolism in our everyday lives. With accessible language, easy-to-understand explanations, and fascinating anecdotes, Stillman introduces to the open-minded layperson an alternate lens through which to view daily interactions with Spirit. A thorough explanation of Heaven�s inner workings. Recognizing Spirit-speak�the silent but ever-present signs and signals that surround us. Associative links in memory that correlate spiritually to music and scents. Stillman�s most powerful observations may be found in the chapter that correlates spiritual sensitivity with persons with autism, mental illness, and dementia�individuals whose �gibberish� is often dismissed as pathology but may actually provide glimpses into another realm. The Secret Language of Spirit concludes with an empowering chapter that addresses the concepts of abundance and achieving authenticity with Love�s Foot Rule�12 fundamental tenets. Stillman also introduces the principles of passion, pursuit, and prosperity, and how to manifest them in concert with Spirit. William Stillman is the internationally known, award-winning author of The Soul of Autism, among many other titles. Since 2004, Stillman has worked professionally as a psychic medium. He has been consulted on missing person and unsolved homicide cases and volunteers as an investigative resource to the Pennsylvania Paranormal Association. Stillman has been interviewed on numerous shows including Coast to Coast AM and CharVision, with renowned psychic medium Char Margolis. He has twice been a guest on the popular YouTube series Swedenborg and Life. Stillman has also been a repeated guest speaker�for Lily Dale Assembly�near Jamestown, New York, the country�s oldest and most revered spiritualist community. Stillman�s website is www.WilliamStillman.com and his Facebook page is �William Stillman Psychic Medium.� He makes his home in Pennsylvania.